Roots Analysis has announced the addition of “Cell Therapy Manufacturing Market (2nd Edition), 2018-2030” report to its list of offerings. 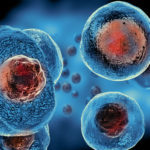 A detailed assessment of the current market landscape of cell therapy manufacturers, providing information on their headquarters, manufacturing facilities, type of cells handled, purpose of production, scale of operation, source of cells and type of cell cultures. An estimate of the installed cell therapy manufacturing capacity, in terms of number of cleanrooms and dedicated area, distributed by type and size of manufacturers, geographical location and scale of operation. An elaborate discussion on the role of automation technologies in optimizing current manufacturing practices. An analysis of the various factors that are likely to influence the pricing of cell-based therapies, featuring different models/approaches that may be adopted by manufacturers to decide the prices of these therapies. An analysis of over 150 collaborations focused on the manufacturing of cell-based therapies. A robust market forecast analysis, highlighting the current value and future potential of the cell therapy manufacturing market, based on various parameters, such as type of cell therapy, source of cells, scale of operation, regional distribution and purpose of manufacturing.